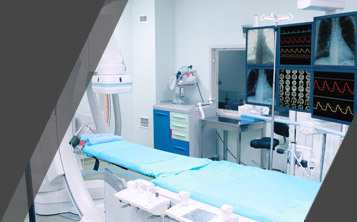 With an eye on efficiency, fuel savings, and robust product designs in the hospital and healthcare markets, no other can compare to Vapor Power’s solutions and options choices. Hospitals and health care facilities depend on their boiler room for critical function and they must have reliable standby or backup steam capability. Often, there is no room left in the existing boiler room for another conventional boiler and new construction costs can be prohibitive. 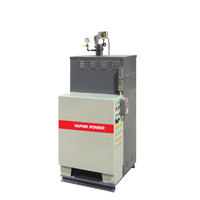 A Vapor Power compact steam generator may be the solution. The Circulatic steam generator has capacities from 75 BHP to 600 BHP and can serve as the emergency backup boiler. Multiple Circulatics can supply the entire steam system demand. A BBJ electrode steam boiler offers another hybrid boiler room solution, taking advantage of off peak power rates. Fossil fuel fired boilers and the electrode boiler are automatically rotated based on real time power costs, maximizing steam plant efficiency. 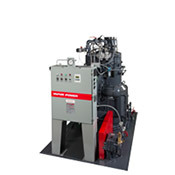 Electrode steam boilers are available in sizes from 3,000 to 34,000KW, 10,000 to 113,000 PPH, supply voltage of 4,160 to 13,800 volts, and offer efficiencies greater than 99%. 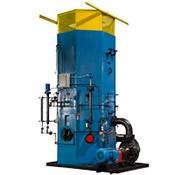 For smaller steam requirements, such as outpatient facilities, a Modulatic steam generator skid packaged offers a compact footprint and minimizes installation costs. Engineered with a feedwater system, blowdown separator, and softener, a Modulatic provides more than enough steam for facility demands. A resistance type electric boiler is also an option for smaller loads. 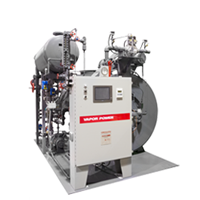 Vapor Power HWR series electric hot water boilers and STR series electric steam boilers both are available in sizes from 30 to 4320 kW. These compact designs require little supervision or maintenance and have zero emissions.